CONCERN with order and fear of disorder permeated the discourses and practices of imperial China. Social and political historians who have examined the mechanisms and devices through which order has been structured and restructured at all levels of Chinese society have largely tended to focus on disorder as a context for generating new rules. Accordingly, subversion, rebellion and revolution have dominated our discussions of China for some time. Irregularities tend to be temporary interruptions, however, regularities are what most Chinese people have experienced in daily life most of the time, as other cultures have done. As cultural practices, both order and disorder merit investigation, yet how order has been practiced deserve more attention than it has been given, if we are to understand the daily reproduction of Chinese state and society, whether historically or in the present. Moreover, for a rather long period, China’s imperial order and disorder had impacted Eurasian geopolitics and cultures. Extending our view of the imperial order from China to Eurasia will help reassess China’s historical role in Eurasia and its current rising in the world. Our focus is on the period 1500 – 1800, when China underwent enormous external and internal challenges to the imperial order, which have in turn bequeathed to modern China both heritages and burdens. Historical changes in China and other Eurasian cultures in this period resulted in new regulations and structures, set however against a background of an apparent continuity of traditions. Both discontinuity and continuity have left their marks in historical records, but they have done so also on material objects. Instead of turning solely to the textual representations that have been the main resources for scholars of literature, we wish to explore China’s patterns of order and disorder, and their impacts on Eurasia as well, by examining tangible items such as costumes, textiles, utensils, furniture, paintings, and other artifacts. Just as books were published to project an idea of order on those who read them, material objects too embodied and expressed narratives of order. This theoretical assumption encourages us to turn to material evidence, attending less to aesthetic dimensions than to their effects on the identities they implicated and the ideologies they helped to affirm. Every material object has a story to tell, allowing us to make connections between it and the people who made, saw, or used it, to tell the stories inside and outside it, and to examine the intentionalities of its production and uses. The work of history can bring objects to life beyond aesthetic evaluation. The objects can never speak for themselves, but they can help us to understand those who interacted with them in the past. 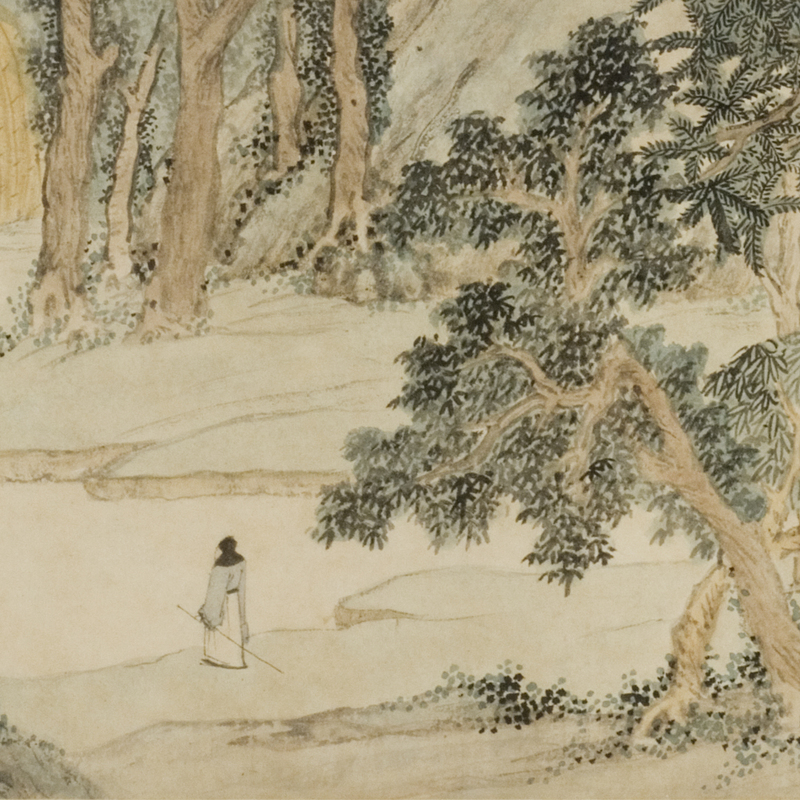 The Mactaggart Art Collection at the University of Alberta, Canada, which features costumes, textiles and paintings dating from 1300 to 1911, is a rich resource ideally suited to this experimental exploration of China’s imperial order and its expansion. Costumes from the Ming and Qing courts and Tibet, textiles used in government service and daily life, paintings and calligraphy by literati, panoramas of the Manchu conquest of Central Asia and of Qing campaigns to suppress rebellions, Qing imperial inspection tours, and imperial rituals and ceremonies vividly convey China’s imperial order and its expansion at individual, social, and state levels. This volume is based on the lecture series and symposium we organized in 2015 – 2016 at the University of Alberta Museums, both centered on the individual artifacts in the Mactaggart Art Collection. It consists of nine essays we selected from the twenty-four presented pieces, focusing on the imperial power, conquest, conquerors, and despotism of late Ming and early Qing China.